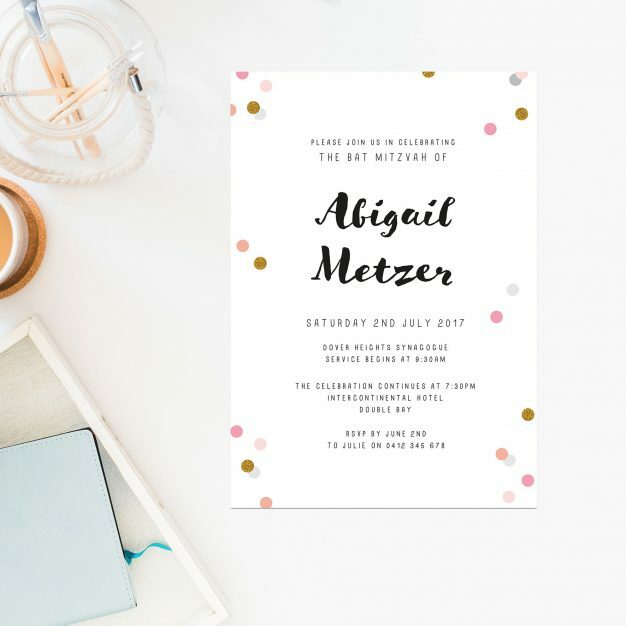 These fun Pink Confetti Bat Mitzvah Invitations feature gorgeous calligraphy with a sprinkle of pink & gold confetti. They are printed on your choice of two lovely, premium card stocks and are perfect for a stunning Bat Mitzvah theme! Pricing includes: Envelopes, Printing and Up to 2 Free Proofs of your Designs before Print. 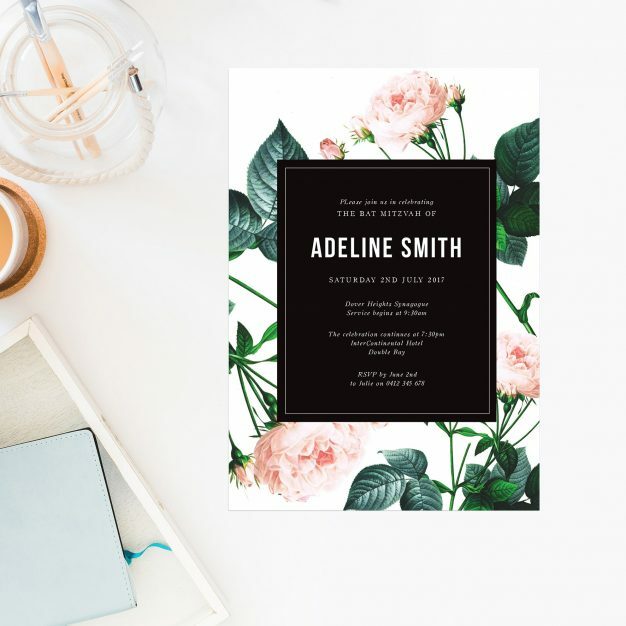 Proofs: Once your order has been placed, we will send you a Details Form and create a personalized and digital Proof of your designs for approval before printing. Thanks for viewing our Pink Confetti Bat Mitzvah Invitations. Proofs: We will send you a Details Form and create a personalized and digital Proof of your designs for approval before printing. 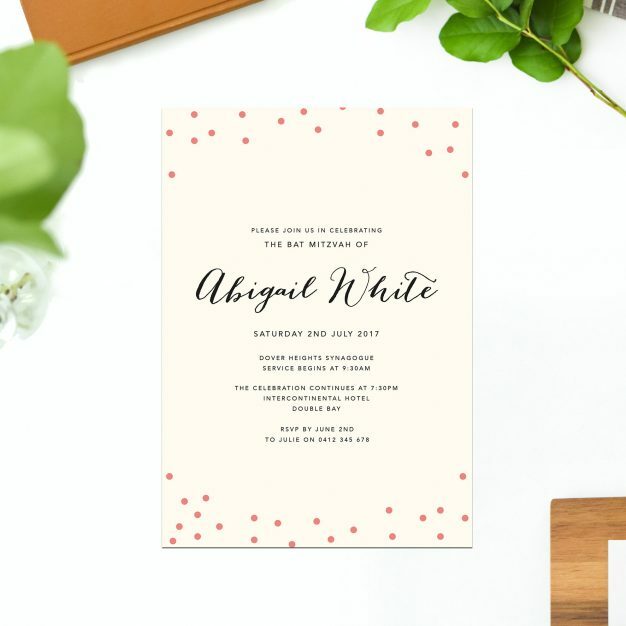 Sail and Swan provide unique, stunning stationery with amazing customer service. We offer a completely original range of invitations that are designed in-house. (Not the mass produced cookie-cutter templates you will find all over the internet.) Our designs are fresh, creative and are cutting edge with the latest trends. 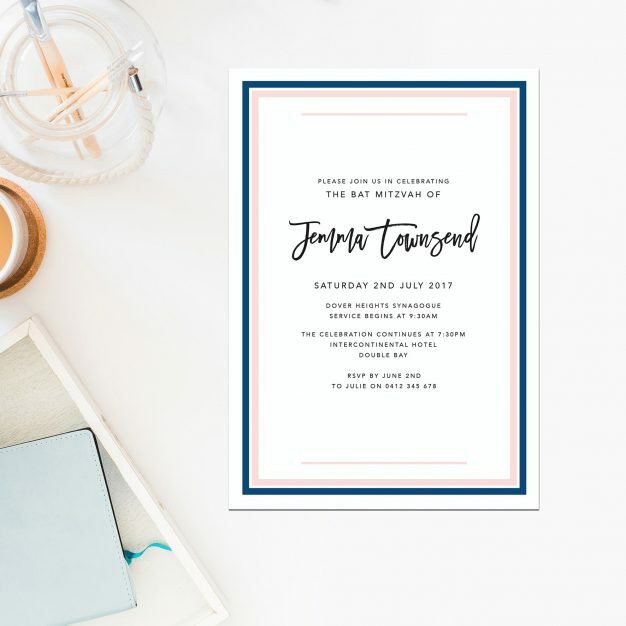 We make sure you receive only the best when it comes to the design and quality of your invitations. We use local suppliers and support the Australian economy where possible. 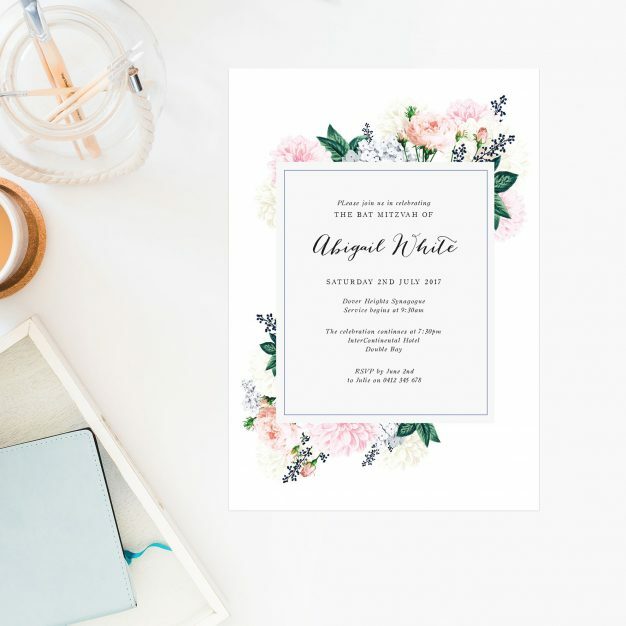 You can view the rest of our wedding range here, find out more about us here, or check out some of the press and features our invitations have received.